He should be offended that he’s being made to eat off of some kids plate that looks like Chuck E. Cheese! P.S. Jett asked me to see if you could add a little gravy next time. It would bring out the delicious flavor in the turkey. He also said he doesn’t mind the chemicals and dyes as long as you’re willing to add larger portions to the plate so he can’t see them. He considers this a reasonable compromise. 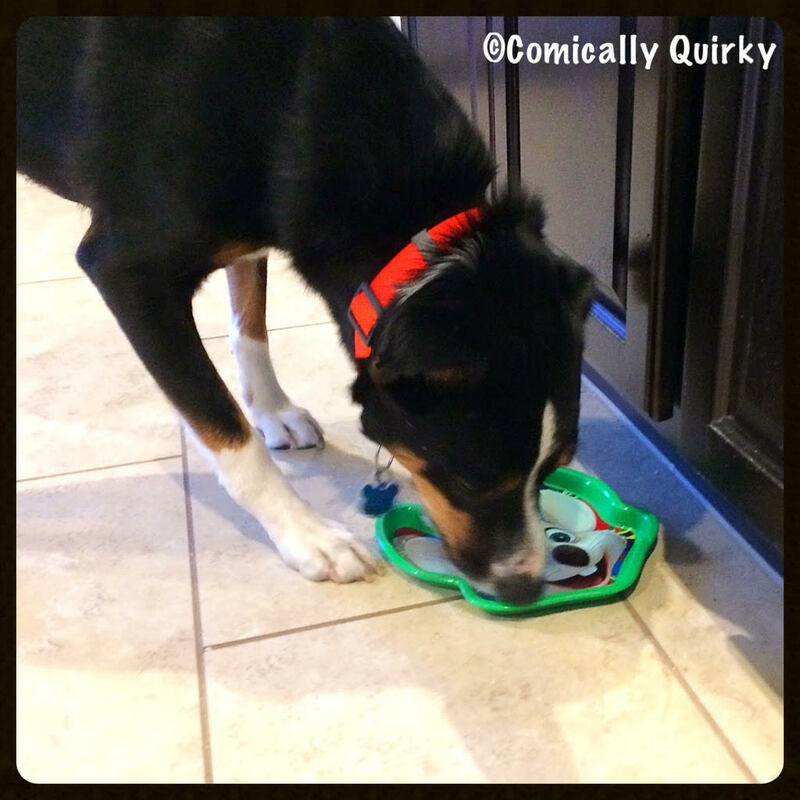 However, I’ve never seen a pooch leave anything in his/her food bowl after a meal! Ya know? And when kiddos were around, as the mom, I got used to our Springer cleaning up after them!!! !